How Do Pollutants Enter the Lake and Pond? Consider upgrading to a new low-nitrogen system – both Suffolk County and the Town of East Hampton are offering incentives! 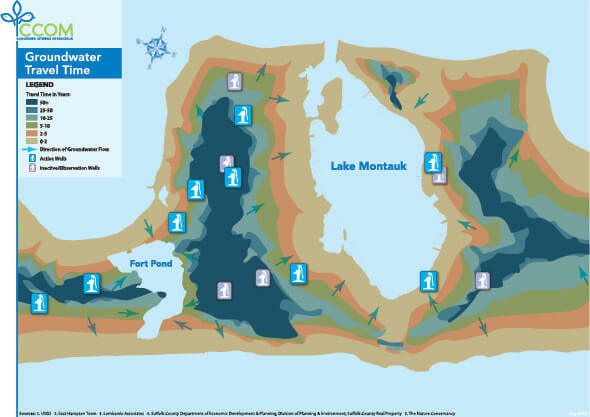 Educate your friends and neighbors about how they can affect the water quality in Lake Montauk and Fort Pond! Understanding the relationship between your property and the water around us is the first step to helping restore Montauk’s waters. 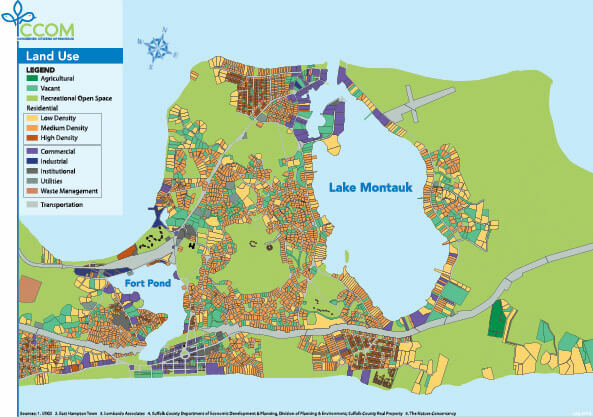 How does development in Montauk impact water quality? 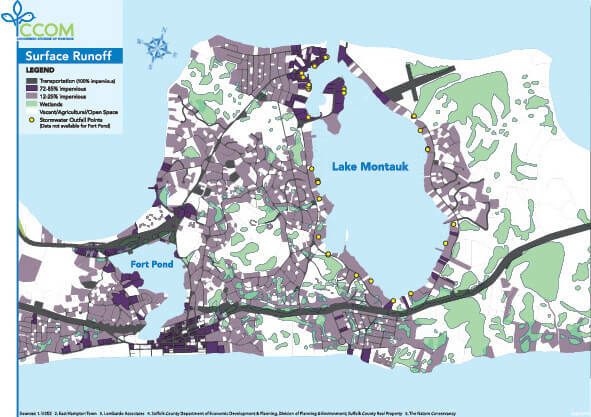 Wastewater systems in Montauk are mostly individual systems. In more densely developed areas with a greater concentration of septic systems, there is a higher risk of groundwater contaminants entering surface waters, but there are also opportunities in those areas to implement neighborhood-scale solutions. How far do I have to dig on my Montauk property to hit water? The deeper the water is beneath your feet, the better the natural system is able to trap and process contaminants from your property as water flows to Lake Montauk and Fort Pond. How long does it take for pollution from my property to get to Lake Montauk or Fort Pond? Generally, the closer you are to a water body (lake, pond, stream, or wetland) the faster pollution from your property will reach surface waters. 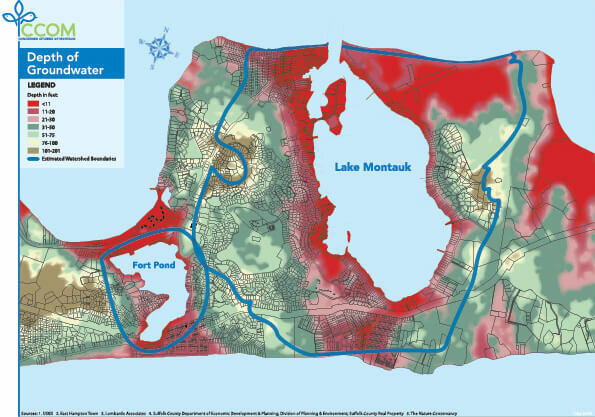 What role does stormwater pollution play in the water quality problems in Lake Montauk and Fort Pond? Pollutants on the roads and other manmade surface are washed off during rainfall and make their way toward our surface waters. Slowing and storing stormwater captures and filters out pollutants such as oil, fertilizers, pesticides, pet/animal waste and sediment, keeping it from entering our local waterways. Improving our stormwater infrastructure is critical to restoring Lake Montauk and Fort Pond.